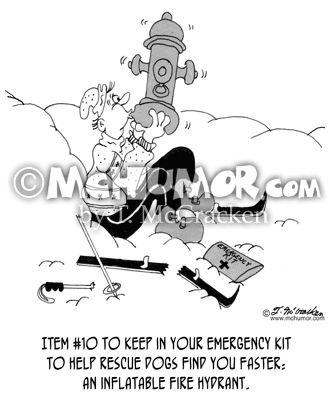 Skiing Cartoon 5085: "Item #10 to keep in your emergency kit to help rescue dogs find you faster: an inflatable fire hydrant." 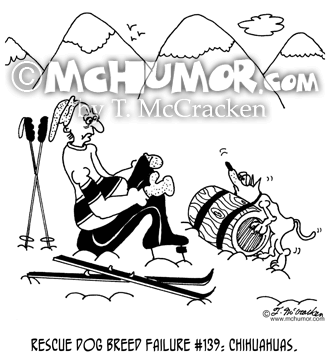 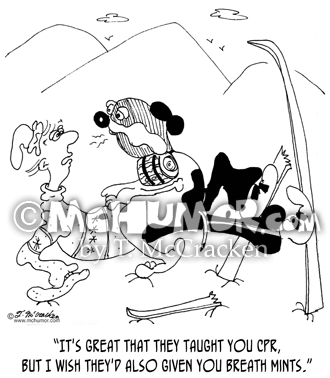 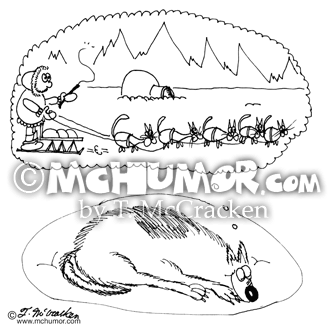 Skiing Cartoon 5008: "Rescue Dog Breed Failure #139: Chihuahuas." 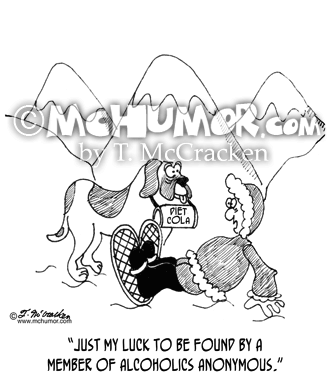 A tiny dog sinks in the snow and is smaller than his cask of brandy. 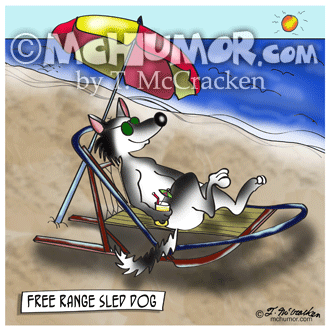 Dog Cartoon 6855: A smiling husky dreams of a dog sled pulled by a bunch of cats. 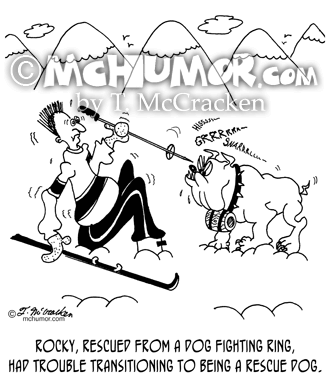 Dog Cartoon 5007: Rocky, rescued from a dog fighting ring, had trouble transitioning to being a rescue dog. 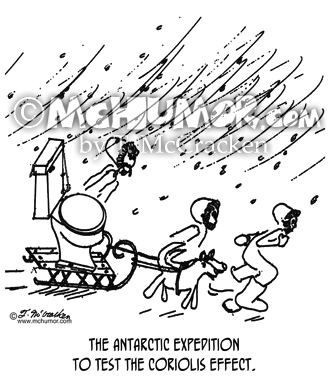 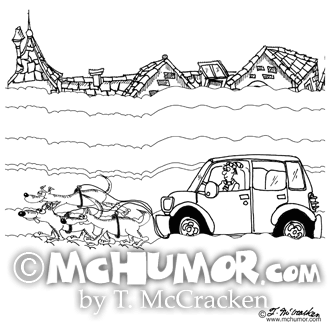 Physics Cartoon 0808: "The Antarctic expedition to test the Coriolis Effect." 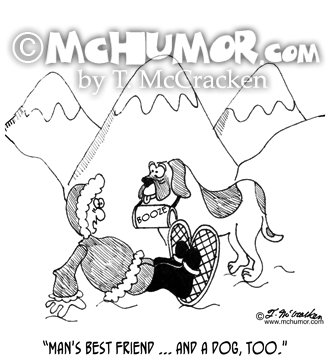 A dog sled with a toilet on it.